Give the birds a cozy place to hang out on cold nights. 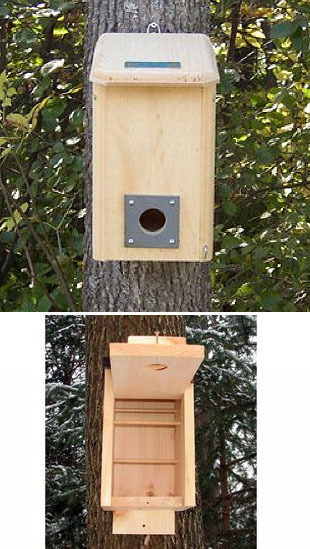 This roosting box has the hole at the bottom so the warm air rises and stays in the box. 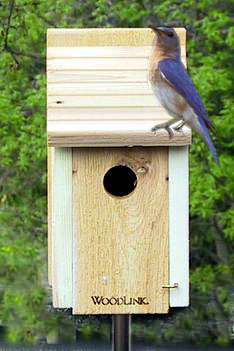 Multiple perches inside for multiple birds. Slate guard protects against chewing. Easy to open front, easy to clean. Birds love to go in this at night or to get out of the cold.  Woven like a basket. Approximately 10 inches high. 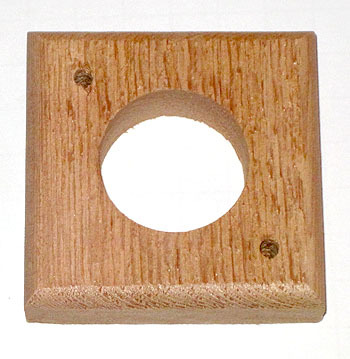 This simple, nesting box is made of heavy duty 3/4" cedar. It has a 1 1/2 inch hole. 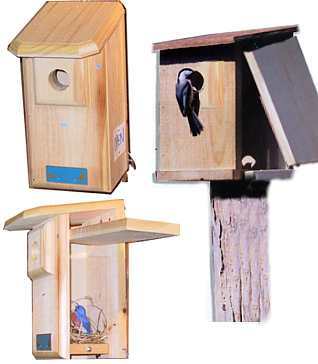 Besides bluebirds, it is suitable for any songbird that uses a house such as chickadees, titmice, Carolina Wrens or Nuthatches. Easy to open, easy to clean. 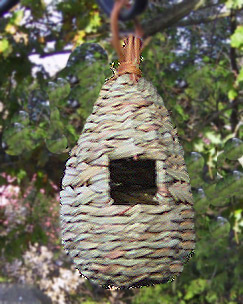 The Observation Birdhouse opens from the side to let you view the nesting action through a plexiglass window. The parent may fly out but will come right back. The wooden side is then kept shut. The plexiglass window slides out to clean the house in between nestings. This house is well constructed and has ventilation. The hole is 1 1/2 in. 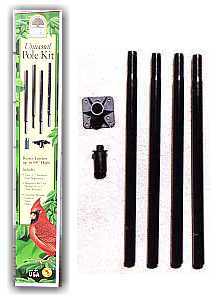 and will attract bluebirds, chickadees, nuthatches and the titmouse. 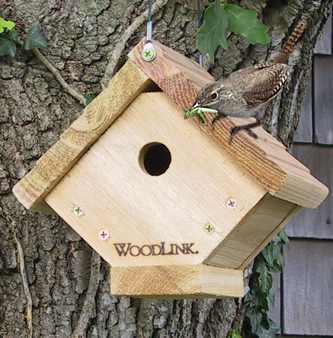 This house wren box is all set to hang, constructed of sturdy cedar. The bottom can be removed for cleaning by removing two screws. The one inch hole is for house wrens only. Big, 'ol fat Carolina Wrens will not fit. They require a 1-1/2 inch hole.